Our Russian Volume Lash Extensions Course is designed to teach you this hugely popular eyelash extension treatment. Russian Volume Lashes (also known as Russian Lashes and 3D-6D lashes) originated in Russia and is now highly in demand in both the USA and Europe. This multi-lash layering technique involves adhering synthetic, ultra-fine lashes onto a single natural lash. The main benefit of Russian Volume Lashes is that it gives clients a full, high impact glamorous look with extreme natural looking volume. This course is an excellent follow-on course for anyone who has completed our Eyelash Extension training course already (or Eyelash Extension training with an alternative provider) and has gained some experience of delivering individual eyelash extension treatments. This 1 day course will help you take your lash application techniques and lash treatments to the next level of volume. *You must have already completed a Classic Individual Eyelash Extensions Course and have gained experience of delivering individual lash extension treatments, before attending this course. In order to gain the most from this course, we recommend you must have completed a minimum of 3 case studies since your initial training to ensure you have the required confidence and ability in your techniques working with the tweezers, isolating an individual eyelash and in picking up/dropping your lashes correctly before enrolling onto this course. This course is structured over one day and runs from 10am – 4pm. We ask students to arrive at 9.45am to ensure a prompt start. You will learn the theory of the treatment firstly, and spend the majority of the day practising your practical skills, with a short break for lunch. Practical is carried out using a professional mannequin training head allowing you the maximum time possible during the training day to work upon acquiring and demonstrating the required technique. Therefore there is no requirement to remove any lash extensions or make up prior to attending the course. We do not include any kits within our training courses, however we provide all products and tools required to complete the practical training on the day, at the training centre for you to use. We took this approach following student feedback so that students are not tied into specific kits or brands of products as part of their course fee, before they are trained and able to make an informed choice. Our training courses teach the generic treatment techniques and processes, they are not brand specific. We recommend attending training where you will gain advice about different brands and suppliers to enable you to purchase products from your chosen supplier directly following your training. We do offer selected starter kits available to purchase through our website & supplied directly from the supplier to you by courier. 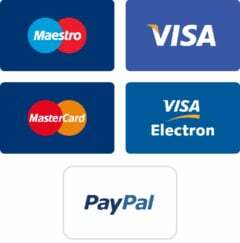 Alternatively, most of our courses can be booked online 24/7, using our secure payment system. *Payment in full at time of booking online or by telephone allows you to select your training days at your preferred training centre in the best way to suit you – whether that’s as a consecutive block (subject to availability) or taken at your own pace. Deko Finance (Payment Plan) is available on all bookings over £299. 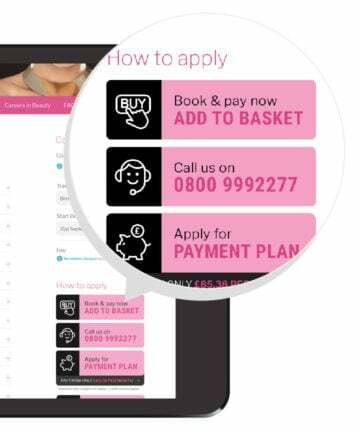 To enquire, simply click ‘Apply for Payment Plan’ on the right-hand side or give us a call to learn more. By making payment in full, you can secure your course place and enjoy the greatest flexibility to book all of your training days at your preferred training centre, in the best way to suit you – whether that’s as a consecutive block (subject to availability) or taken at your own pace. Book securely online 24/7, or call our friendly Advisors by book by phone. Eyelash extensions have become increasingly popular over the last few years, with many of us wanting longer, thicker lashes without the hassle of applying make-up or strip lashes day-to-day. Russian Volume Lashes (also known as Russian Lashes and 3D-6D lashes) originated in Russia and is now in high demand in both the USA and Europe. This multi-lash layering technique involves adhering synthetic, ultra-fine lashes onto a single natural lash. The main benefit of Russian Volume Lashes is that it gives clients a full, high impact glamorous look with extreme natural looking volume. Learning this treatment will enable you to take your previous knowledge and skills in application of individual eyelash extensions to the next level and allow you to deliver high volume lash treatments to your clients. During our generic Russian Volume Lashes course, you will learn the application and removal process of Russian volume lashes, selecting the best lash length, shape & curvature for each client dependent on eye-shape/natural lashes and important contraindication information. All without being tied into using any particular brand of lashes, ideal if you already have a preferred lash brand or are looking to explore your options, you can decide on the best products for you and your clients. This is a lucrative treatment service to offer, with clients returning regularly for re-application/maintenance treatments every 2-3 weeks. There is no need to remove lash extensions or make-up before attending the course as you will work upon a professional training (mannequin) head to acquire and demonstrate your practical skills. No kit is required to complete this course and no kit is included in the course fee. You will be provided with all products/tools required to complete the training day, when you attend the training centre. On the training day, you only need to bring a hand towel for your personal use, completed enrolment form and cold food for your lunch (e.g. sandwich/salad). Tea & coffee are provided on the day. What are the tutors like? We are so proud at The Beauty Academy to work with such a professional, passionate and friendly team of tutors, all of which hold a Level 2 and Level 3 qualification in their specialised sector. Our tutors are also all qualified with either Level 4 PTTLS or equivalent teaching awards in education, with years of experience in beauty-related professional industries. Furthermore, our tutors who are involved in the assessment process all hold an Assessors Award. We pride ourselves on the welcoming nature of our tutors and their ability to engage, educate and enrich students from all ages and backgrounds. All of our tutors are dedicated to maintaining their knowledge and keeping up to date with the latest treatments and techniques in the ever-changing industry. If you would like to read more about our fantastic tutors individually, please have a look at our Meet the Tutors page. When you have successfully completed your training course(s), you will receive a diploma certificate issued by The Beauty Academy and accredited by ABT. This not only demonstrates your commitment to the training, but also allows you to obtain Public Liability insurance so you can start offering treatments to paying clients from home or mobile. Once you have completed your practical training day with us, there is no additional work to be completed. Your diploma certificate will be sent to you within 1-2 working days and you can then begin working from home and/or mobile, once insurance has been obtained. The Beauty Academy offers a discounted insurance scheme with Balens; a Specialist Insurance Brokers aimed at Health and Well-Being Professionals, offering both Therapist and Student Therapist insurance for those who train with us. Get a quote online. What will your career opportunities be? All of our diploma courses enable you to work from both home and mobile offering the specialised treatment(s) that you have completed. You can start earning by offering treatments to paying clients as soon as you have obtained your insurance. 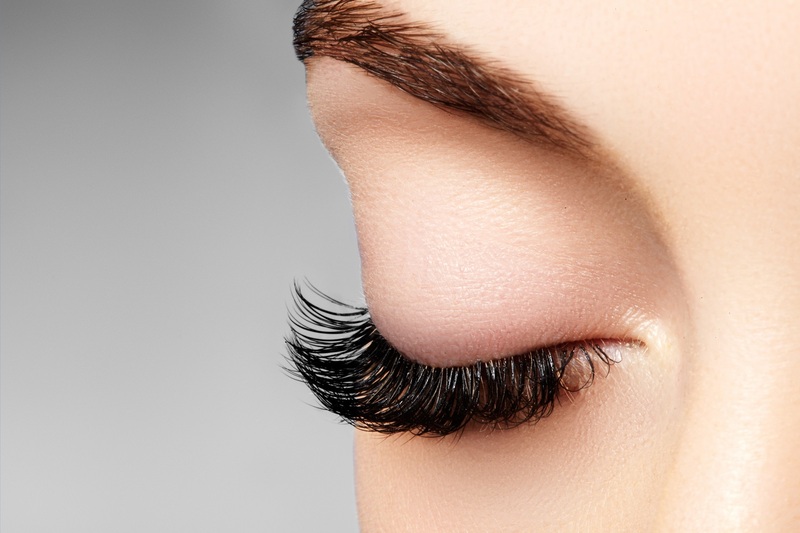 You could easily work solely as a Lash Technician providing only lash extension treatments on a mobile basis or establish a treatment area at home. Alternatively you may like to look at further courses such as the Highly Defined Brows Course or Facial Massage & Skincare course to enable you to provide a range of facial enhancement treatments. Why choose The Beauty Academy? We offer high-quality ABT accredited training with experienced tutors, professional equipment and a great atmosphere to train in. Our training centres are well-equipped, within easy reach of public transport and regularly inspected by the awarding body (VTCT) which we provide qualifications through; to ensure we are giving you the best service for your money. We pride ourselves on working with only qualified and industry experienced tutors who are friendly, welcoming and happy to go the extra mile to deliver the very best student experience possible. All courses are run as smaller groups than most other providers, allowing plenty of opportunity to ask questions or seek further support if required. Our training centres are permanent and exclusive to us and they are always set-up ready to begin your training. All centres have the very latest equipment and products required to adhere to industry standards. We also provide free and unlimited on-going access to our Support Team who are available to answer queries or provide guidance within any aspect of your course with us, contactable on either email or telephone. Once you have completed your diploma course, you have the opportunity to further your skills by completing additional training. You can complete our other Eyelash and Brow Courses, including the popular Highly Defined Brows Course, which will enhance the services that you can offer your clients to enhance your skill-set as a Brow Specialist/Lash Technician, working from home or mobile. You may consider completing a qualification in beauty to further your career opportunities within this industry. To learn more about the qualifications that we offer, please click here. I attended the Russian volume course today with jess and it was fab. She was so friendly and helpful, I have come away feeling confident and much more knowledgeable than when I went in. I completed the Classic Individual eyelash course. I thought it was ran very well and I came away feel confident that I could work on clients. Definitely recommend this training academy! Great course but the best part about it was the tutor – Fleur! She’s so kind and lovely and really made sure everyone could get to grips with making the fans as they’re difficult! Will be returning for more courses? Great instructor very thorough and patient. Lovely training centre. I Loved the Russian Volume Course! I didn’t want it to end. Fleur was lovely and so knowledgeable. I felt like we learnt so much In the time we had. thank you. Fleur was an amazing teacher, she was very nice and encouraging even when we thought we wasn’t doing well. Having a great tutor definitely helps your ability to develop skill. Glad I did this course with beauty academy and would highly recommend them. Great tutor. Very helpful, was shown and told everything we needed to know. Full day Russian Volume training was great! Small group and training was very thorough. Spent the morning going through theory and whole afternoon practising fans and application. Lots of product knowledge and helpful with business ideas etc. Really informative, small class so plenty one to one advice when needed really enjoyed it thank you. The course was amazing, I am completely satisfied and confident with my knowledge. I really enjoyed it (Cambridge branch). I would like to just say, thank you so so much for an amazing course. Our tutor was just amazing. So kind and taught us superbly. The Beauty Academy (Manchester) is a great place to do a training course, I done the Semi Permanent Eyelash Extension Course in August 2018 with Kelly (she was so friendly and helpful, which is good for anyone similar to me who maybe a little anxious when it comes to doing these kind of things) & I recently done the Russian Volume Course with Laila. Both courses very informative, lots of information and tips for getting started. Overall really good. I’ve left both course confident enough to offer the services I trained for pretty much right away. Would highly recommend the place and their aren’t enough reviews on Google as I checked myself beforehand. 5 out of 5	Loved the course! Really loved the course, everyone was very friendly and it was very informative. I feel very at ease and can’t wait to start my business! Would definitely recommend. 5 out of 5	Bev is the best teacher! Done my individual lash course with Bev over a month ago now and just had my Russian lash course with her too. She is the best teacher and really focused on all of us individually. I felt very at ease and she made sure she covered absolutely everything with us all. Can’t thank you enough! Loved my course was informative with a.friendly yet proffesional. Atmosphere. I felt able to ask as many questions as I liked and my Tutor was incredibly helpfull and attentive. Will definatley be back for more courses would reccomend The Beauty Academy to anyone wishing to learn or update their skills. Thankyou. Great course, feeling much more confident in volume Lashes now. Bev was lovely! No hidden charges: includes all exam fees & VAT. Price shown includes all exam fees but excludes VAT. OK, 1 item was added to your basket. What next? By Rebecca Willis (RW Lavish Lashes). Bev is the best teacher!